The global automotive interior materials market is anticipated to grow at a CAGR of 12.6% between 2018 to 2026. Developments are expected to be driven by strong improvements in global weight reduction of interior materials along with rising demand for additional interior customization offered by OEMs. Additionally, the rising demand for premium vehicle interiors around the globe has raised the demand for automotive interior material market. Customers are constantly demanding superior grade of interior design with high-class tactile experience and aesthetic appeal even for lower class of cars. However, intensifying price of authentic leather, on account of the supply-demand gap and the aggregating government regulations over the convention of synthetic leather are expected to restrain the growth of the market over the forecast period. Automotive interior materials express and enhanced sustainability, and appealing look, thus offering an upgraded and a better look of the cabins, which in turn has raised its demand over time. Significant aggravation of the global economy and innovative automotive designs offers a tremendous opportunity to the suppliers playing in the interior material market. Some of the market leaders in the global automotive interior materials endure to fortify their presence across the globe by penetrating the emerging regions for future automotive hub by setting up local manufacturing facilities to keep the prices of their products lower than their competition. The value chain of automotive interior material is constantly undergoing a change. Alloys and composites were earlier enjoyed by Formula 1 motorsport, supercars, hyper cars and other motor racing forms few years back. But, in the present times composites and alloys are also being used in luxury high volume production cars thus, driving the market for interior materials. Furthermore, interior component and material manufacturers are using cutting-edge production technologies in order to deliver cost effective products to their customers. For instance, major component manufactures are using robot application which comprises robot-aided automation systems and laser cutting equipment for plastics and metal working industry, providing cheaper and precise products for automotive industry. The global automotive interior material market has been segmented based on material type, application and vehicle type. The material type segment is further divided into fabric, thermoplastic polymers, leather, synthetic leather and others. The application segment is further segmented into dashboard, seating, seat belt, airbag, door panel, interior trim, headliner and others. The vehicle type segment of the automotive interior materials market is further branched into passenger cars, light commercial vehicles and medium & heavy commercial vehicles. 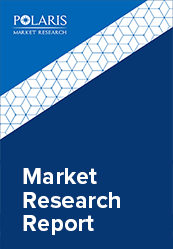 Due to the sheer volume of passenger cars produced, the market for passenger cars held the largest market share in terms of revenue in the automotive interior material market by vehicle type segment. Asia Pacific accounted for the largest share in 2017 in terms of consumption in the automotive interior materials market. Japan and China will be the primary support for the region’s increasing demand. These are also the fastest growing interior material market worldwide. Moreover, an improved outlook for product demand in India is yet another potential factor for the growth. Europe with its large OEM base of automobile manufacturers will also add up to the demand for interior material market. Some of leading industry participants in the automotive interior material market include Fauracia SA, Lear Corporation, Toyota Boshoku Corporatio, Borgers SE & Co, DK Leather Corporation Berhad, Johnson Controls, Grupo Antolin, Takata Corporation, Yanfeng Automotive Interiors, Magna International, Hyundai Mobis Co and Calsonic Kensei Corporation among others.